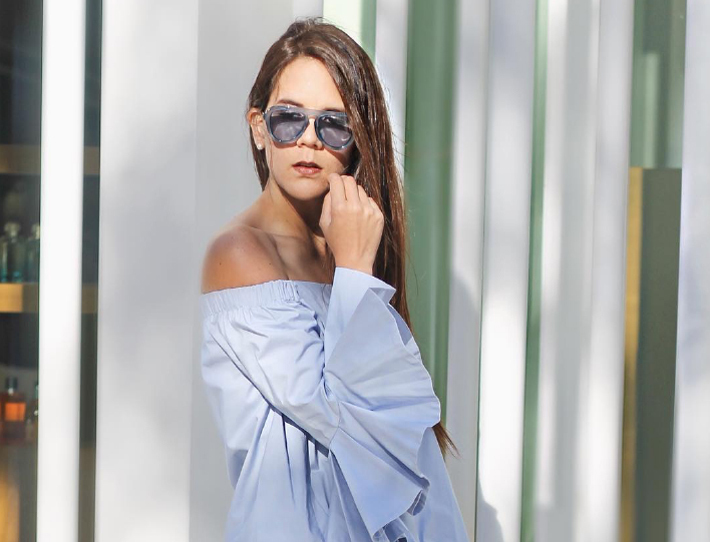 Juanita Londono is a bi-coastal style influencer, expert fashion stylist and personal shopper based in Miami/Los Angeles. Her main goal is to help women around the world find their DNA Style. DNA • STYLE: is the connection between someone’s authentic self and their fashion style. Which once discovered, it will empower them with the confidence to show the world their true self. Juanita makes it her mission to draw out it’s audience’s DNA Style through fashion and love. Being bilingual, Juanita has been able to influence women throughout the US and Latin American countries. No stranger to Hollywood starlets with name likes Sofia Vergara, Christina Aguilera and Karla Souza under her belt. As an influencer her mission is to reach, connect, impact and educate true fashion at a worldwide level. My first professional position was a Product Development internship at the prestigious J. Brand. This experiencie gave me the confidence to venture into the world of entrepeneurship, and so I opened my own boutique called “UNE” in West Hollywood. UNE soon became a favorite place among local fashionistas, and a dream haven for socialites interested in receiving some personal styling for important events such as Red Carpets and the like. Thus. Isort of became L.A.’s new “stylist on call” and, as the popularity grew, I went on to work with renowned artists, celebrities, and fashion brands, Including actress Gabriela de la Garza, Karla Souza, Claudia Bahamon, singer Christina Aguilera, Owen Wilson, Lorelei Taron, football player Falcao, Insina Academy, Adam Sandler Colleagues, Nuvula Brand, Puma and many others. I started the blog with the purpose of reaching out and sharing positive and fashionable lifestyle ideas with all fashion-forward individuals. I deeply believe in living an inspiring life, enveloped in beauty, and aim to motivate others to do the same. Acknowledging the complexity of life and its many facts, I aim to help people through daily lifestyle tips and tailored fashion advice- my special talent. Similarly, I believe in the existence of a DNA style : a connection between your personality and your fashion style which, once discovered, will give you the confidence to show the world who really are. I posses the passion and the experience to guide you on your path to define your DNA style.